Full beard, goatee, stubble, soul patch, Van Dyke, chin curtain, Garibaldi… there are so many ways to wear your beard! 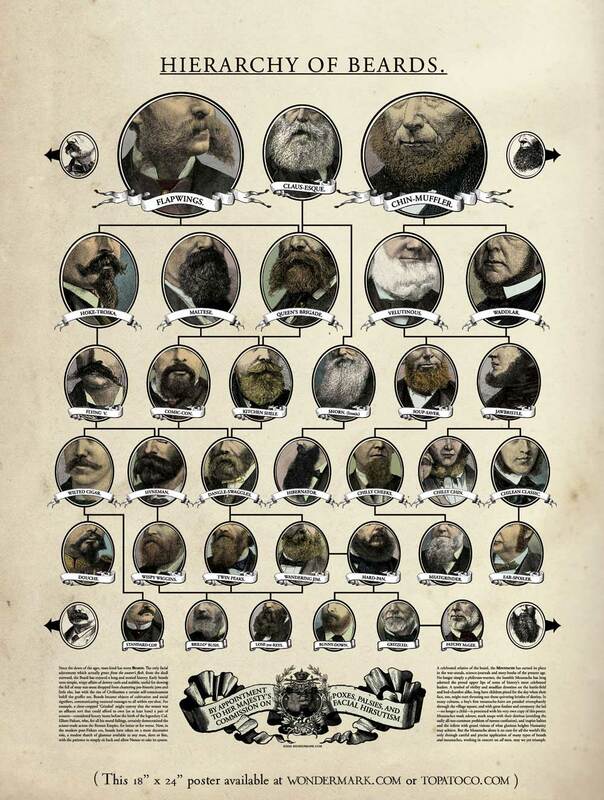 Likewise, there are many ways to care for your beard. We’ve created two different beard care offerings: Beard Oil and Beard Balm. But what’s the difference? Which one should you choose? Do you even need to care for your beard? The short answer to that last question is yes. You should absolutely care for your beard in some manner, even if it’s just a light shampoo every few days. Why? Well for starters, it lives on your face. Taking good care of your beard is part of taking care of your manly mug. Another reason is that beard hair is coarser and more brittle than the hair on your head, and needs to be cared for differently. Giving it a little extra attention not only helps to soften and tame your whiskers, it also helps to keep the skin underneath moisturized. The result is a nice soft “chin muffler” as well as less scratching due to dry, itchy skin. Read on to learn the key differences between our Beard Oil and Beard Balm, and discover if one or both are right for you! Beard Oil is a conditioner. Its primary function is to moisturize the beard and the facial skin underneath. The oils that we’ve chosen for our Beard Oil also help to promote nourishment, shine and healthy growth. Nourished hair is more elastic, which results in less breakage. What beard would benefit most? Because it promotes healthy growth, Beard Oil is ideal for the first 6 weeks you’re growing a beard. Moisturizing the skin regularly can soothe that “new beard itch,” and help you grow a healthy, happy beard. Though it’s ideal for the first 6 weeks, Beard Oil can be used on any beard at any stage of growth for conditioning and shine. Beard Oil works best right out of the shower, when the beard is still a little damp. The moisture on your beard will help you apply the oil sparingly and evenly. The warmth from the shower softens beard hairs and opens the outermost layer (cuticle), allowing the oil to penetrate more deeply. You can apply Beard Oil to a dry beard at any time. Just take a “less is more” approach, since your dry beard might not absorb as much oil. Beard Balm’s primary function is as a styling aid. The thicker consistency (imparted by the beeswax) keeps stray hairs in place and creates the appearance of a thicker beard. Beard Balm’s secondary function is as a conditioner. We chose ingredients that promote strength, elasticity, and shine. So if you have a full beard and you’re looking to style and condition, this product is for you. As an added bonus, the beeswax helps to seal in moisture, which protects beards from the elements. Longer beards would benefit most from the styling properties of Beard Balm. If your beard is short and you’re looking to just condition and add shine, reach for the Beard Oil. Beard Balm works best on dry beards. Simply warm a pea-sized amount between your palms and fingers, and work it into your beard. Be sure to take a moment to work the product upward underneath the beard, as well as down from the top. This helps condition the skin underneath. Then be sure to use a beard comb (have you seen our beautiful cherry wood combs?) to evenly distribute the product on your beard. With either choice, you’re ready to face the day. Because You are The Navigator! For the ultimate in conditioning and styling, apply Beard Oil daily right out of the shower, and use Beard Balm to style. You’ll look and smell like the intrepid Navigator you are! Both feature our signature essential oil blend of bergamot, vetivert, sandalwood, cardamom, black pepper, vanilla and myrrh. Until “smell-o-vision” is invented, the best way I can describe the aroma is earthy/spicy with a sweet finish. Just like you! If you prefer lightly scented products, check out the Beard Balm, which has a subtler aroma than the Beard Oil. …and if after reading this post you decide that having a beard is too much work, don’t worry, Badger makes a full line of shaving products, too! Bearded Badger fans, do you have any tips or tricks? Share them in the comments below! Wow seems to be a great product!! Is the beard oil suitable for dry skin as well? I Buy this beard oil and Beard Balm and they are really good.